Back when I was at home in Odessa, Ukraine over the Christmas break, I went to see a cosmetologist for a facial treatment. As I've already mentioned in my 5 Goals for 2018 post, I plan on focusing more on skincare than on makeup this year so I thought a deep cleansing facial would be the best way to start it off. Well, that was a fail. Not only did the woman traumatise my skin to a point that it was red and all swollen up, but I also had some sort of burn all over it. I can not even explain how itchy and weird it felt, and I truly hope that you never have to experience something like that - it's really not fun. Anyway, my skin calmed down a bit after a week, but it was drier than ever. 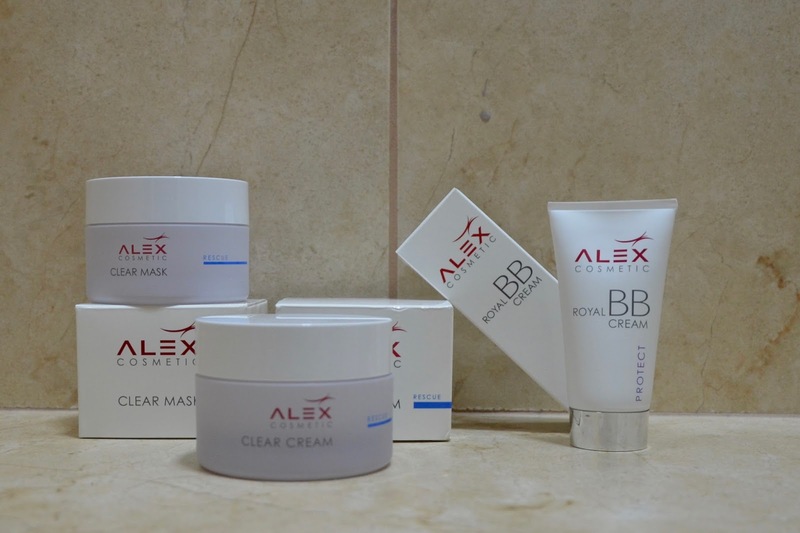 So when Maryia, who works as a cosmetologist in Odessa as well, recommended me the ALEX COSMETIC Clear Mask, Clear Cream and Royal BB Cream, I couldn't resist and got all three products. The series was created specifically for sensitive, acne-proned skin that needs hydration, oil-control as well as some help with combatting acne and any skin inflammation. The products are not the cheapest, which is why I thought it might be helpful to give my first impressions on them and make regular updates on how I get along with them so that you can decide whether or not it might be worth investing for you. 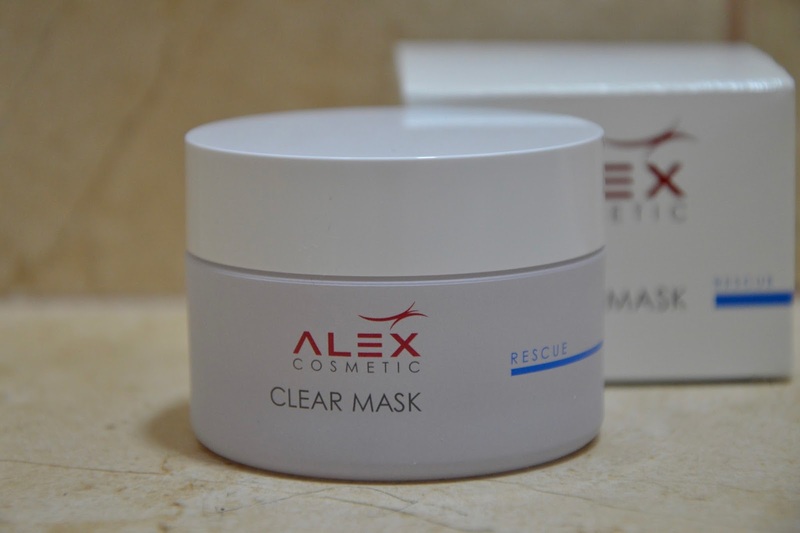 "Targeted control for the different needs of oily, impure skin. Bisabolol, Witch Hazel and Tea Tree Oil keep impurities from spreading. Panthenol and Allantoin soothe and comfort skin. Urea and Vitamin C & E provide skin with nutritive care. Cream is absorbed quickly, revealing a mattifying effect and a fresh look." I've been using this for about 2 weeks now and have been highly impressed so far. Even though I'm not a huge fan of the scent (it is definitely reminiscent of the Tea Tree Oil), it doesn't bother me when I apply it onto my skin as the scent fades away immediately. The texture is quite thick and feels moisturising on the face, but without leaving a greasy film. At first, I was quite afraid to apply it to the dry areas on my face because it's supposed to be "mattifying" as well, which indeed is the case, but, to my astonishment, it soothed my irritated skin and eliminated any dry patches within the first few uses. I apply it twice every day and find that it's a great makeup base as well as a soothing and repairing nighttime moisturiser. 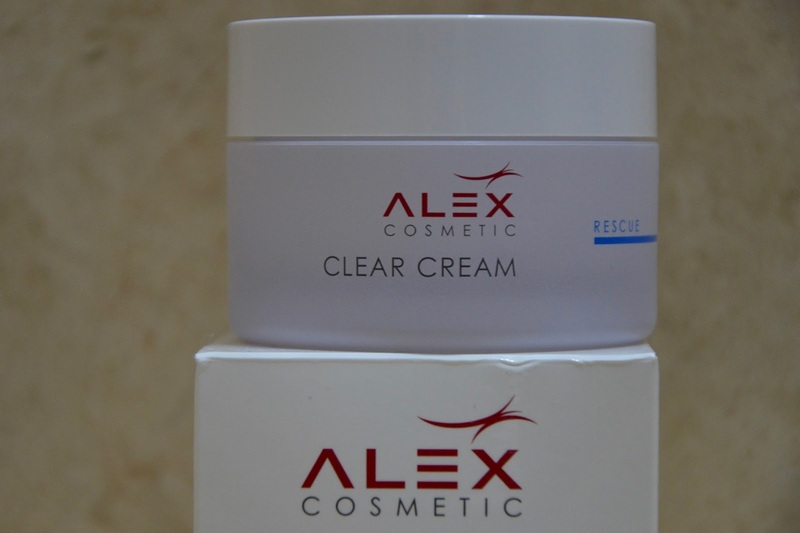 "Absorbs superfluous sebaceous secretions and helps skin impurities abate quicker. Calms, moisturizes and normalizes skin functions." As recommended, I use the mask twice a week and leave it on for about 20 minutes each time. Similar to the Clear Cream, the Clear Mask has quite a strong plant-based scent which disappears as soon as it is applied to the skin though. So far, I really love how soothing it is. My skin feels more hydrated which is everything I ask for at the moment. Nonetheless, I have to say that I haven't seen any change in terms of impurities after using it. Maybe, I haven't tried it out enough yet; maybe, it really doesn't help a lot with that - we shall see.
" A synergistic complex of ingredients (Argan Oil Ceramide 3, Licorice and Vitamins C & E) supplies continuous hydration, regenerates and brightens. Smoothes the appearance of fine lines and wrinkles. Protects skin against environmental aggressors and offers full-spectrum UV protection. For a flawless finish and a radiant tone." With a price point of 37€ for a 30ml tube, this is by far the most expensive product out of the three. Yet, I have to say that it's also the one that impressed me the most so far. I applied it to my skin, even when it still was red, burnt and itchy from the facial and I felt an immediate relief. My skin hurt and burnt less after applying it. I love the decent smell and the thick consistency. 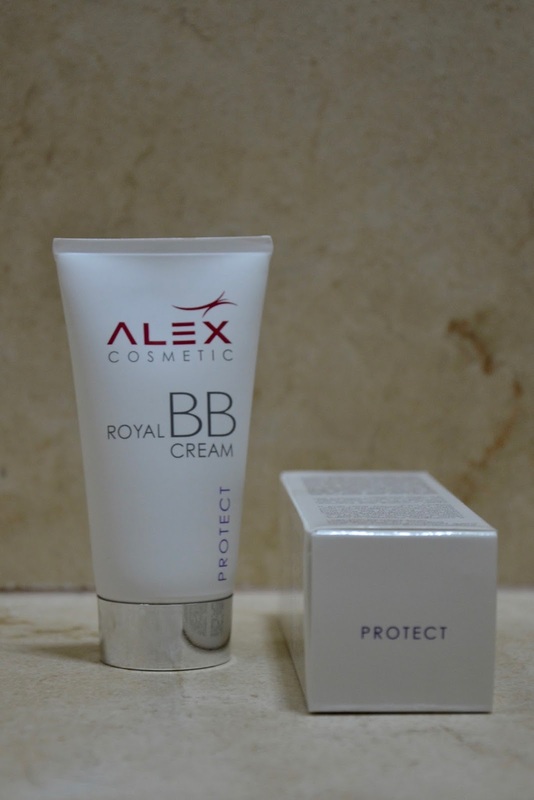 It offers a great coverage and makes my skin look brighter and fresher without adding any supplemental oil to it. Overall, I'm pretty sure that this one is the biggest winner out of the three, until now at least.